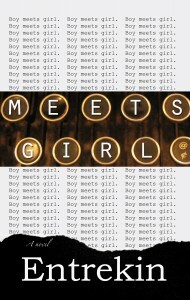 Meets Girl is a contemporary update of Faust, set in Manhattan, about a young writer who falls in love with a girl who doesn’t love him in return. It makes use of metafictional elements–think Charlie Kaufman’s Adaptation, or Bertolucci’s The Dreamers. You can get it for your preferred Kindle reading device or in paperback right here, all in one go. Where you can also see what readers are saying about the novel, including that it’s “Smart, unpretentious, and funny.